Science from Scientists’ mission is to teach and inspire the next generation to identify and solve real-world problems by improving STEM literacy. Our vision is to inspire students, ignite interest, and improve STEM competency with the goal of filling the workforce pipeline with talented, competent individuals. We are able to harness selectively chosen and trained real scientists with advanced STEM degrees to deliver state and national frameworks informed hands-on lab based lessons, in a collaborative program that is cost effective, scalable and measurably impactful. We provide engaging STEM programs to schools and organizations. This year, SfS is serving 9,300 students and 295 teachers in our during-school programming. 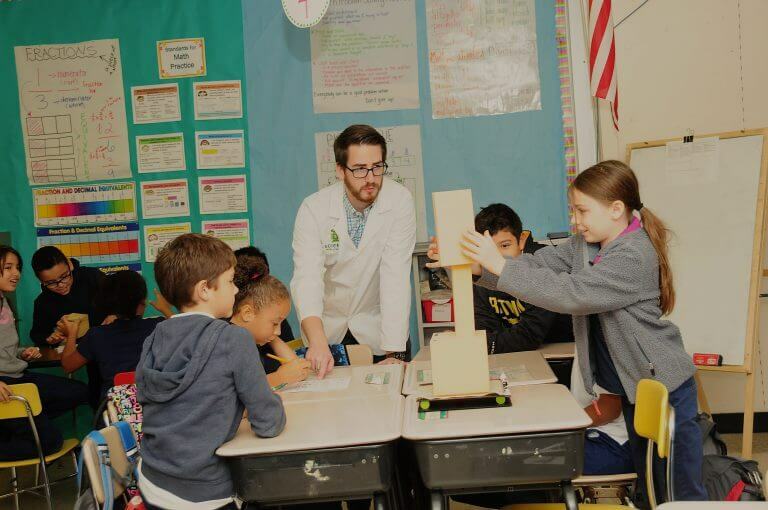 Our core program, the In-School Module-Based (ISMB) program, provides up to 18 additional hours of STEM enrichment per student, per academic year, and 82% of our schools return year after year. Visit our Impact page for more details. View our Annual Reports & 990s here.